Someone called and claimed there were five bombs in the Time Warner Building, but a search turned up nothing, police said. 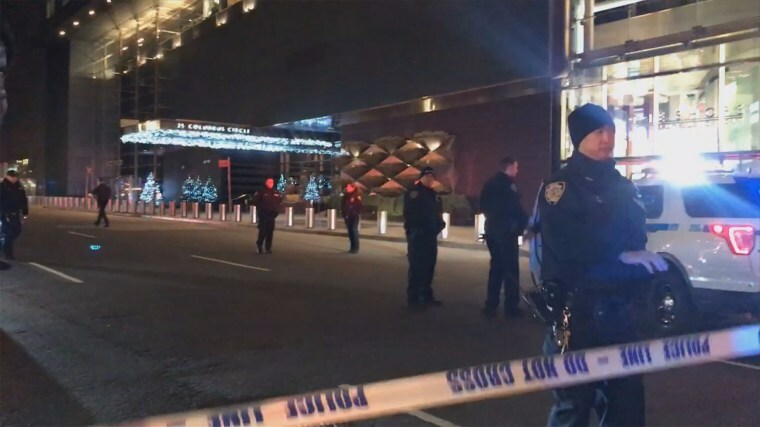 A building in New York City that includes CNN was evacuated because of a phoned-in bomb threat Thursday night, but no devices were found, according to police and reporters at the network. The New York Police Department tweeted that a bomb threat was called into the Time Warner Center in Columbus Circle, where CNN is located, and that police searched the building. The department gave the "all clear" shortly before midnight and said it was reopened. Police initially said the threat was made at 10:35 p.m., but corrected that and said officers responded to the call at 10:07 p.m.
A police spokesman said the phoned-in threat claimed there were five devices planted around the building, and an NYPD sergeant in consultation with CNN security decided to evacuate the building as a precaution. A preliminary search by security and their dogs found nothing, and the NYPD conducted a search. Brian Stelter, a reporter for the network, said on Twitter that the offices were evacuated and that CNN went into taped programming. CNN host Don Lemon tweeted, "We were evacuated in the middle of my live show" due to a bomb threat. In October, CNN was targeted in a wave of pipe bombs mailed to the network as well as to prominent critics of President Donald Trump. None of the devices exploded and there were no injuries. The suspect, Cesar Sayoc, of Florida, was arrested and indicted on more than 30 federal counts, including use of a weapon of mass destruction, and he faces up to life in prison if convicted. "It’s kind of a repeat situation of what we went through in October,” Lemon said on CNN. On Thursday night shortly after 10 p.m. Trump tweeted "FAKE NEWS - THE ENEMY OF THE PEOPLE!" Trump frequently uses the term to denigrate some media organizations, including CNN. It appears that tweet was made around 10:08 p.m., which would make it one minute after police said they responded to the call.